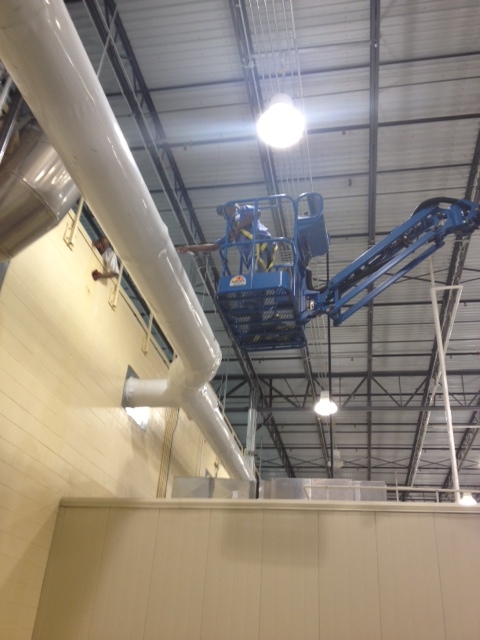 SKB provides the industrial commercial cleaning of building and plant utilities; cooling towers, heat exchangers, HVAC and duct work. Scheduled frequencies for the cleaning of air-handlers and filter change-outs help your equipment work well and save energy. Cleaning of process equipment, industrial exhaust, dust and fume collection systems, industrial ovens, silos, tanks, ribbon blenders and central vacuum systems are frequently requested jobs, as are the hot or cold water pressure washing of tanks, silos, containment and machinery.